Budding city-based cinematographers are finding their feet up North. Be it Auro and Amola��s tender reconciliation, captured by PC Sreeram, in Paa, or Aishwarya Rai Bachchana��s desperate cries for help, shot by Santosh Sivan, in Raavan, artistes from the South have made heads turn with their art. Most of your favourite Bollywood films owe their stunning visuals and aesthetic brilliance to city-based cinematographers. Taking a cue from forerunners like Sivan, a new crop is now making their way North and landing plum projects. Four young lensmen speak to us about their journey and the road ahead. If you watched Saala Khadoos (or Irudhi Suttru), R Madhavana��s Hissar-to-Chennai road trip on the Bullet must have given you major travel goals. Meet the man behind the carefully-captured scenes, Sivakumar Vijayan, who also worked on the recent Tamil hit, Iraivi. 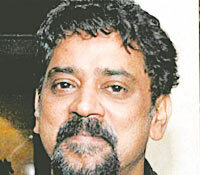 The Satyajit Ray Film and Television graduate says, a�?I had worked on a film called Vidiyum Munn. Director Sudha Kongara saw it and liked my work, and called me to work on Saala Khadoos.a�? The city-based lensman says that doing the Madhavan-starrerA� was a dream come true because Alaipayuthey (2000)a��with its introductory scene of the actor riding a bikea��had inspired him to follow his passion. a�?I tried to recreate the bike scene from Alaipayuthey while shooting Madhavana��s bike ride in this film, and 16 years of my hard work flashed before my eyes,a�? he shares. Vijayan, who is working on Mudi Sooda Mannan, Vikram Prabhua��s next, says that the main difference between Bollywood and Tamil Cinema is the budget and reach of the film. Baar Baar Dekho might not have been a winner at the box office, but the futuristic-yet-aesthetically stunning London and Thailand landscapes left us in awe. 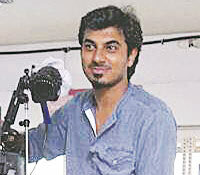 For the film, assisting Ravi K Chandran, director of photography, was 29-year-oldA� Coimbatore man, Ragul Dharuman. The cinematographer, who graduated from the Film and Television Institute of Tamil Nadu before joining Chandrana��s team, has worked in two Tamil films, Madha Yaanai Koottam and Idam Porul Yaeval. Talking about the differences between the two industries and the challenges he faced to reach where he is, he says, a�?In Bollywood, we get enough time and resources for preparationa��right from deciding the location to the colour schemes. That is lacking in the Tamil film industry.a�? Dharuman feels that a cinematographera��s journey is all about how much he learns on the job, which takes time, patience and a lot of creativity. The city-based cinematographer adds that he will soon start working on an untitled Bollywood film, but wants to keep things under wraps for the moment. include OkA� Jaanu withA� Mani Ratnam. The a�?bad boya�� without any interest inA� academics, Santhana Krishnan R found his forte at the age of 15. Today, he is one of the most promising names in the industry. A filmmaking diploma holder from Singaporea��s Lasalle College of Arts, the son of ace cinematographer Ravi K Chandran says that being well-connected in the industry is just the first step. a�?My first job was easy, thanks to my family, but from there on I was on my own. Making a career is entirely on you,a�? adds the 23-year-old. He observes that the work in Bollywood is much neater because of equal attention paid to production design and costumes. a�?Cinematography isna��t about fancy frames as much as it is about telling a story right,a�? 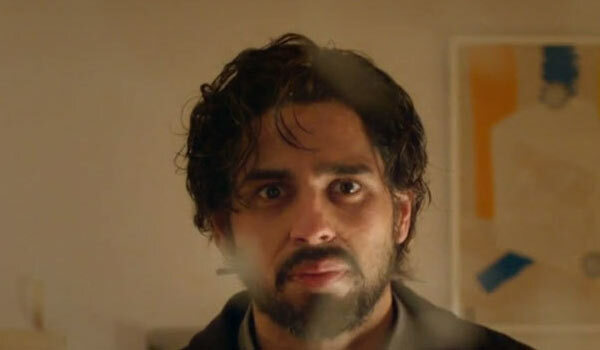 says the artiste, who debuted with the short film, Interior Cafe Nights starring Naseeruddin Shah and Shernaz Patel and then landed Sanjay Leela Bhansalia��s Goliyon ki Rasleela Ram Leela, among other big films. Krishnan is now working on web series for both Balaji Telefilms and Panorama Studios.